buttercream frosting, originally uploaded by candice quates. So we decided to forego waiting until wedding-present season and spent christmas present money on a shiny blue kitchenaid. With the amount of creme patissier I make during strawberry season it sounded like a good idea. 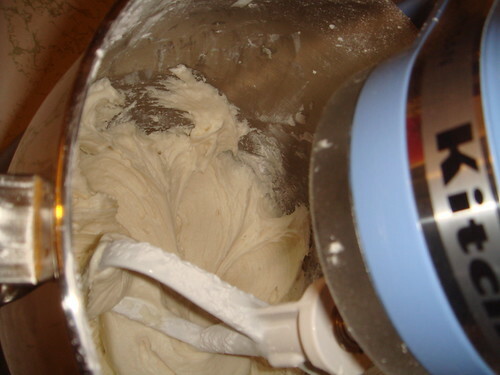 I made frosting this summer with a handheld electric mixer and it was a bear. Took forever and my right arm hurt for hours. This? Less than ten minutes. Meant to post this picture quite a while ago. 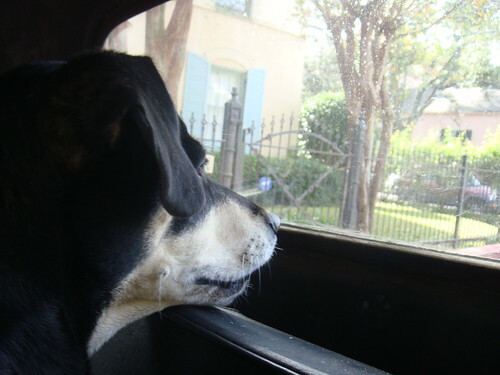 She sat in the driver's seat as well. Death by cuteness. I am alive, got through the semester, nearly perfect (3.9) gpa. Lots going on, lots to discuss, hopefully will have time to work on/discuss my repeatable virus sandbox system that has been this semester's project. Just now coming up for air; I don't even have pictures of our house's christmas lights - we have holly bushes along the front so I thought they would look nice - or any cars in a couple of weeks. Major car and food posts coming I hope.